I’m writing this post on my journey home from Birmingham after an epic day in the company of 100 stylish sewists. Last night involved lots of curry and champers as we celebrated our engagement with some close friends and like an idiot I stayed up later than expected. My bus was at 7am this morning so I armed myself with a flask of tea, hours of podcasts and huddled into my seat. I wore my red SOI Vintage Shirtdress for the day. Just after getting off the megabus I managed to bump into Abi on the way to the Edwardian Tearooms and we arrived to a scene of a room stacked with sewists drinking tea and gossiping. 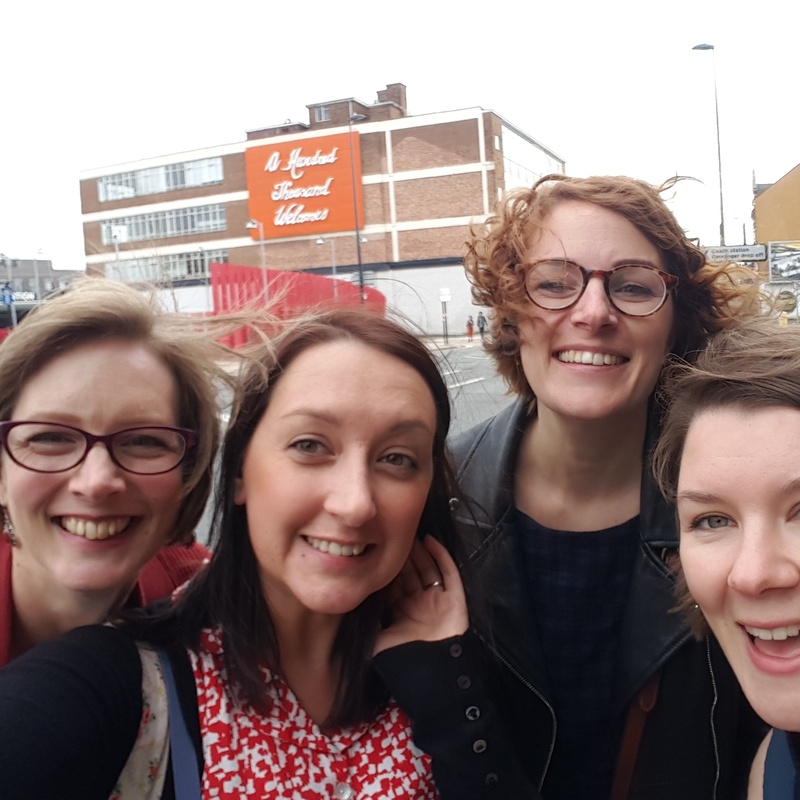 I met some new faces which is half the reason for attending and then forcibly dragged a group around the market and Barry’s – including a selfie pitstop at my favourite sign. There was lots of banter with Kate and Rachel, Charlotte, Nina and Gabby. I finally got to meet Fiona. 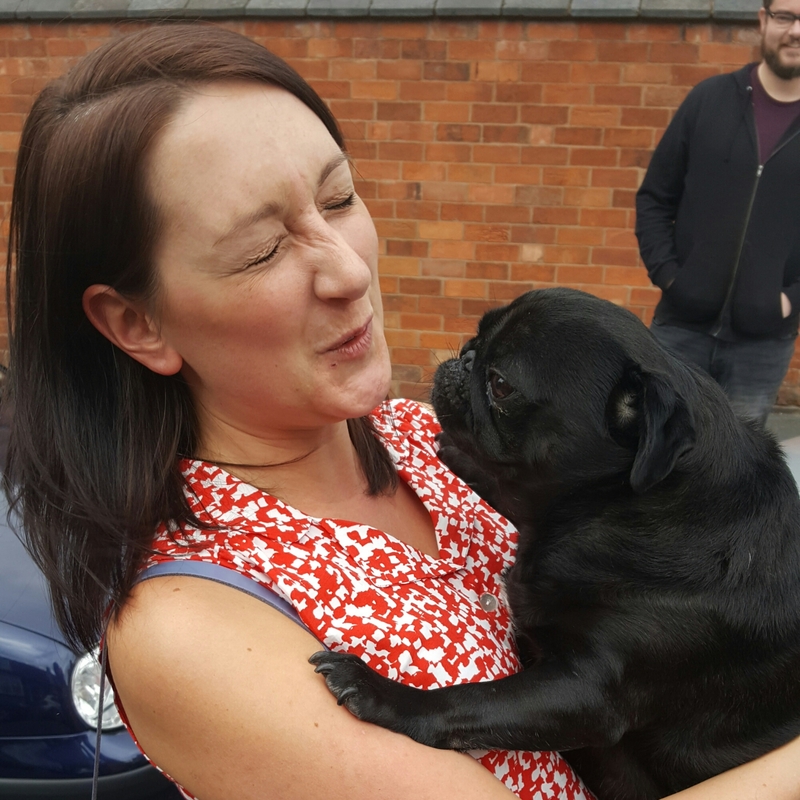 And yes I cuddled a pug and larked around with Elle, Abi, Vicki and Rhiannon. There was a flying catch up with Lauren and baby Sophia wearing the Liberty cord dress Lauren blogged recently. Plus I manage to shout hello and wave at lots of lovely people like Claire, Rachel, Helen and many more. Not forgetting that I have about 20 new blogs to follow! I was actually very reserved with what I brought home. 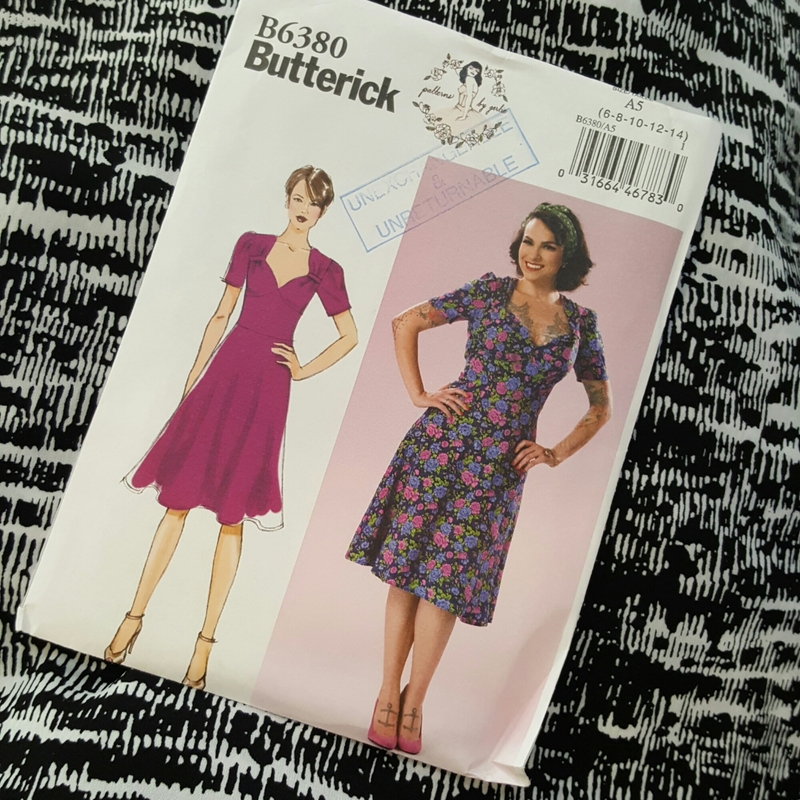 If you follow me on Instagram you may have seen my major geek out at the release of Gertie’s new Butterick 6380 in America. Well it’s finally here in the UK and was part of the sale on at Fancy Silk Store (for all Butterick patterns – new and old). I also bought some graphic black and white viscose from a stall outside on the rag market for just £1 a metre! 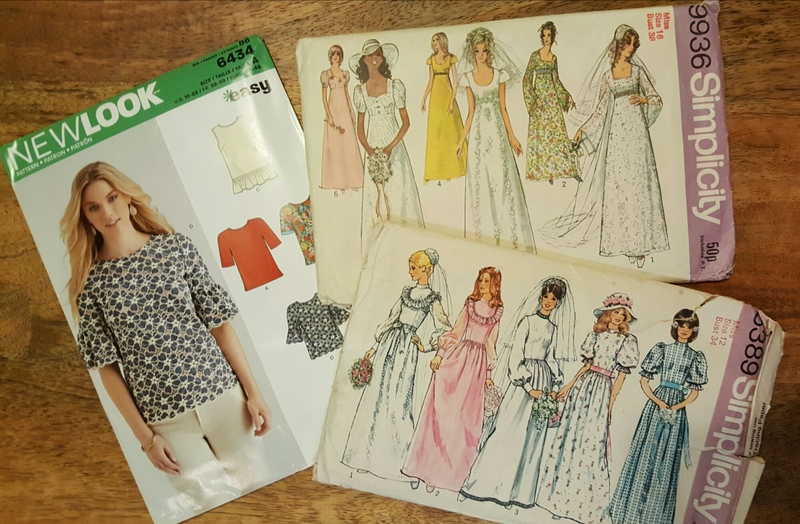 Other things that made it into my handbag for the journey home were a copy of New Look 6434, a flyer for the Dressmaker’s Ball 2017, two hilarious vintage wedding dress patterns (thanks Kate!) which may actually have some potential, a flask filled with cider and a copy of the stylist fashion special magazine. All in all a pretty cracking day! Will I see you there next year?? So this is the story of my new jacket. We’ve had a bit of a rocky time getting to completion but we made it out the other side. 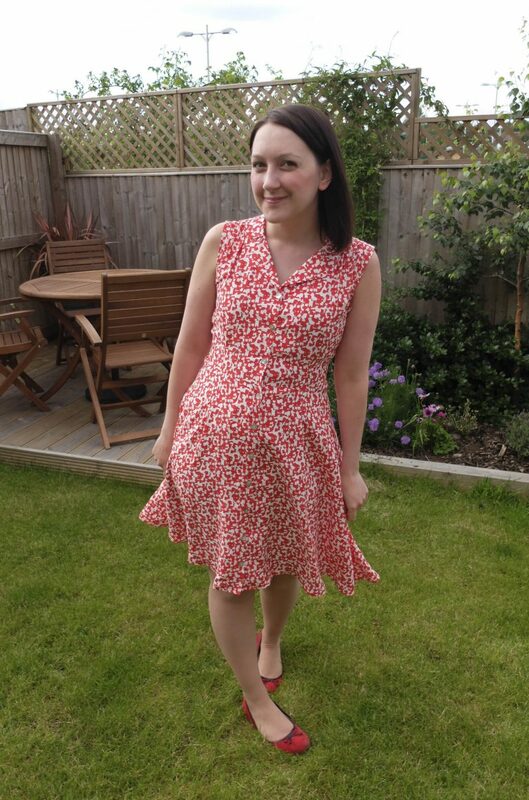 It’s sort of my vintage pledge garment because my original pledge to sew a vintage shelf bust pattern was demolished when I sewed the modern Gertie dress. 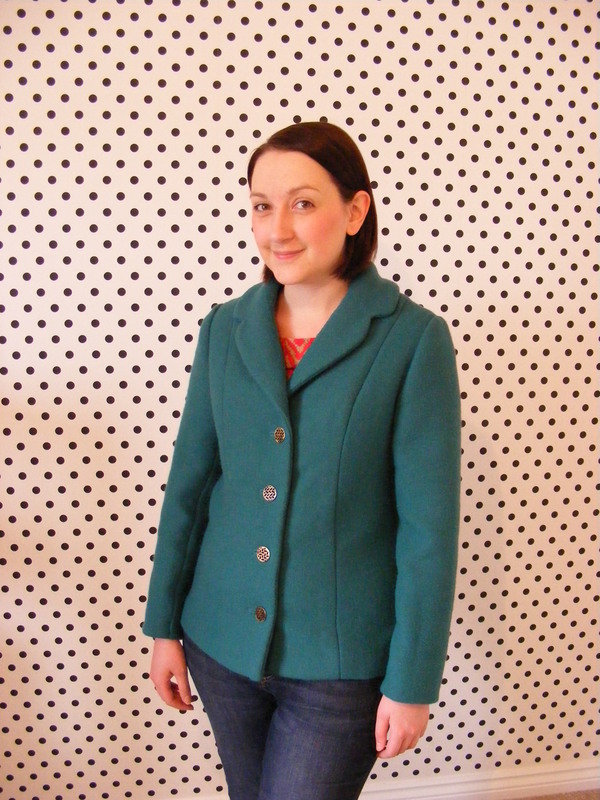 Meet Style 2563, a vintage jacket and skirt suit pattern dated at 1969. 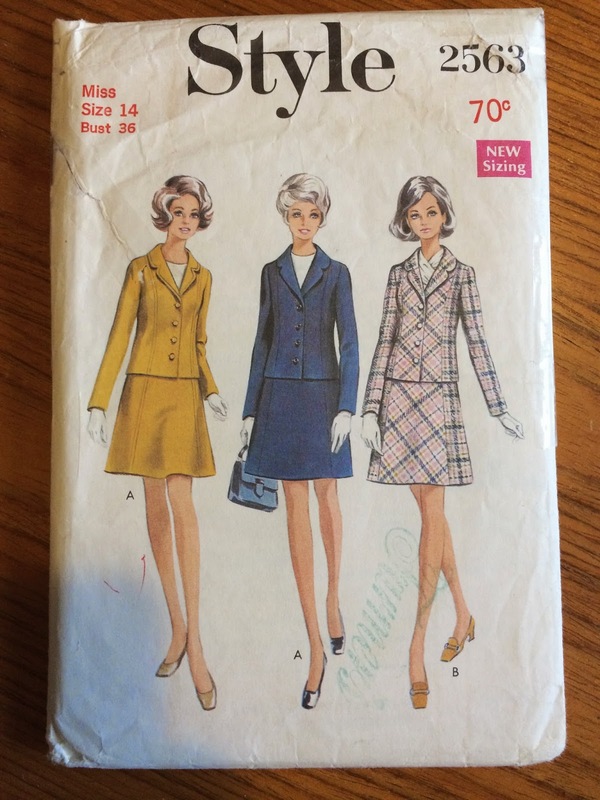 The cover art is misleading – three women on the envelope, but no variations in the pattern pieces, just additional cutting layouts for plaid fabric. 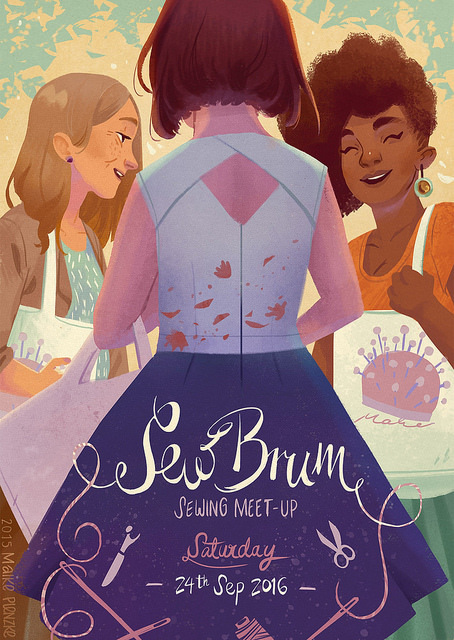 I picked this up at the Knitting and Stitching Show last year as there is a regular stall holder with giant plastic tubs full of vintage patterns and I usually spend half an hour combing through it hoping for buried treasure in my size. A quick muslin confirmed it was a pretty good fit and only needed a few tweaks! 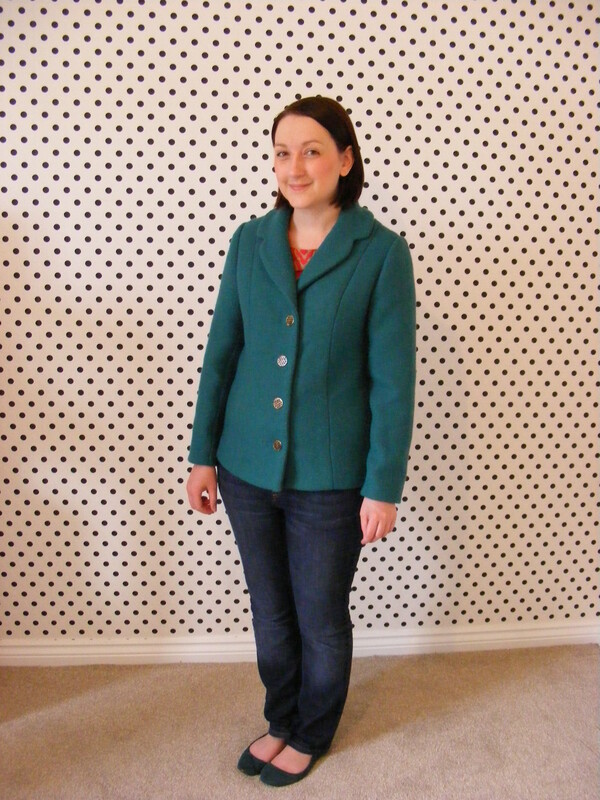 The outer fabric is a textured wool from Barry’s Fabrics. 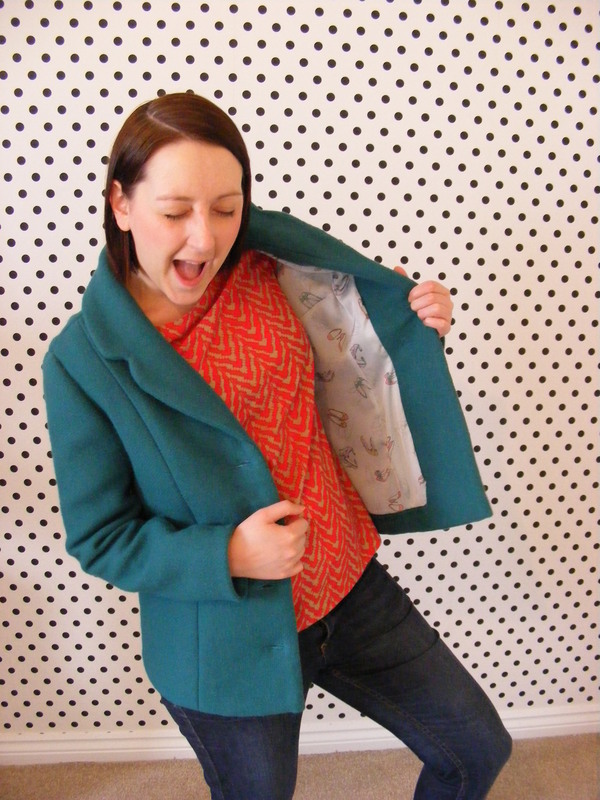 I picked it up at SewBrum with the cheeky discount that had been arranged for us — thanks Charlotte! There was a fault running parallel to the selvedge about 30 cm along so I was actually given a further discount. Making this something like £9 a metre. The lining fabric was an eBay find! The seller had called it “stilletoes” print by mistake so it’s good I stumbled onto it. Such pretty colours! 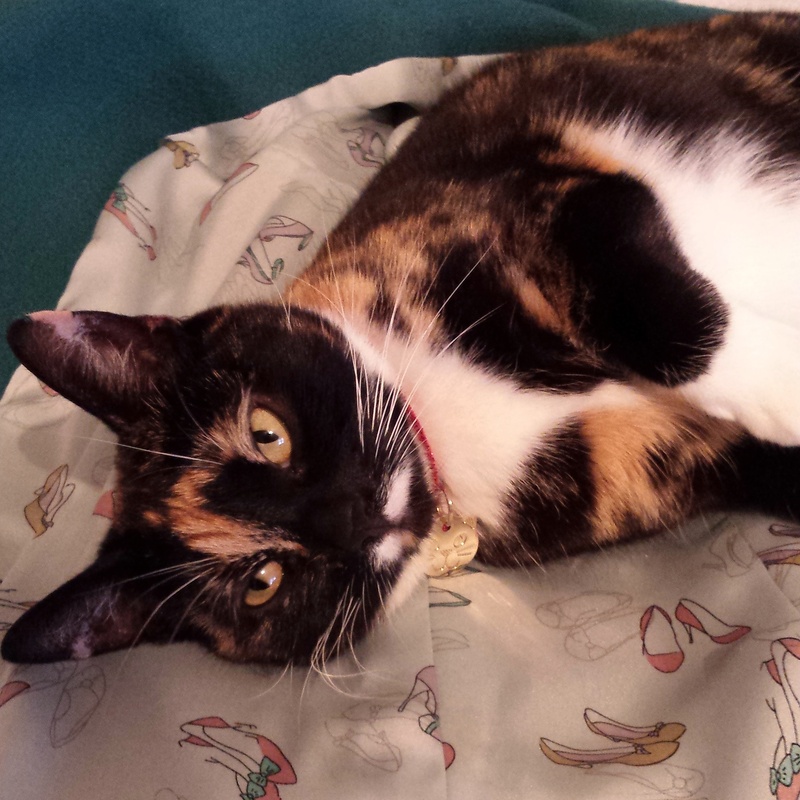 It’s a lovely satin that probably isn’t silk (even though she calls it that) but feels as nice either way. Aaah those buttons. These were the most expensive part of the jacket. Can you believe there were £3 each!? But since the other supplies were a steal, and wool covered buttons were ruled out, I wanted buttons I’d love and would LAST. 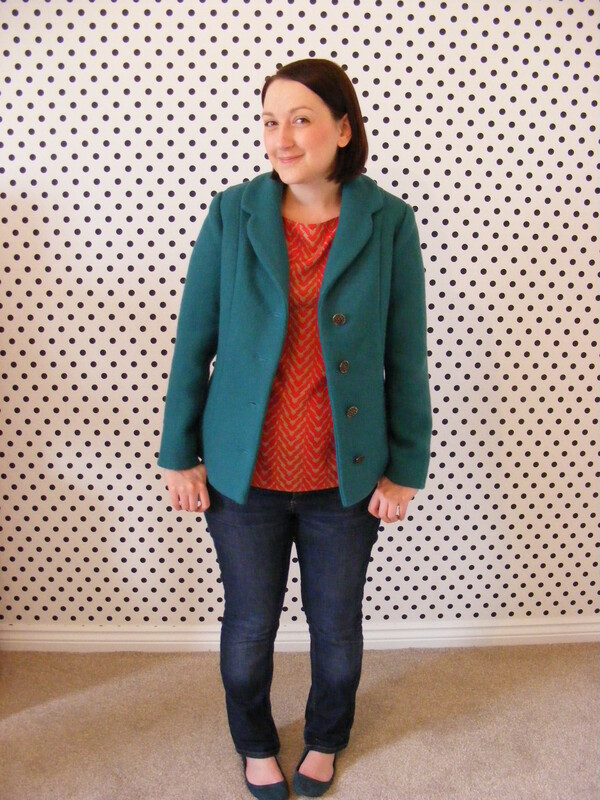 So here’s my two pence about this jacket. It’s too short. I lengthened it a lot and it’s still just a bit too short. Very frustrating. I get that it’s supposed to be worn with a dress or skirt but at its actual length your belly button would show. The princess seams on this jacket are a bit crap looking. If you’re going to draft a princess seamed back and a two piece sleeve, the princess seam should curve to the armscye not the shoulder and connect to the sleeve seam. There isn’t any allowance for the roll of the collar so the outer seam doesn’t roll under nicely. I did what I could with it but this is the best I could manage. Why no pockets? Shouldn’t every good jacket have pockets? I really should have added some so it’s partially my fault. 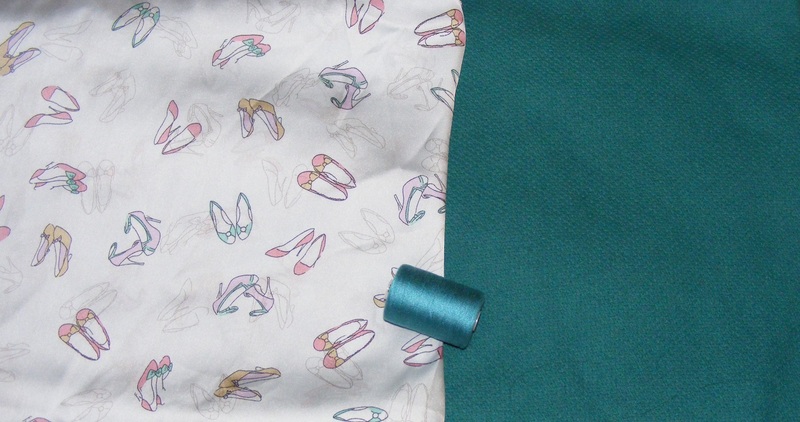 Some cute welt pockets would have been nice, possibly even with a little pocket flap, right? Chewie agrees – WHERE’S THE POCKET!? So there we go! 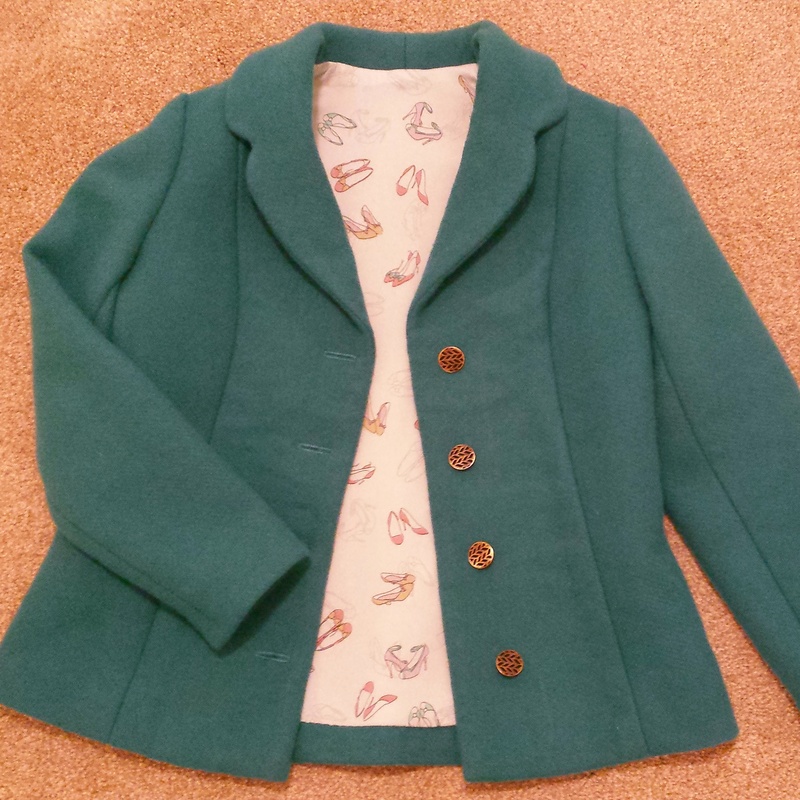 A new jacket with a few problems but still pretty cute. I’ll definitely get a lot of wear out of it. The only thing I can’t decide on is what colour this jacket is. I even got some paint sample cards from B&Q and it sort of falls in between their Teal and Emerald. Help me out here, what colour do you think it is?